Someone has to pay for the Trump tax cuts. As the state's chief fiscal officer, it is my responsibility to spell out exactly what the Perry Tax Plan means to our state's fiscal integrity. As you have known since it was made public, your plan simply does not pay for itself. As of this moment, this legislation is a staggering $23 billion short of the funds needed to pay for the promised property tax cuts over the next five years. In 2007, your plan is $3.4 billion short; in 2008 it is $4.3 billion short; in 2009 it is $5.4 billion short; in 2010 it is $4.9 billion short; and in 2011 it is $5 billion short. These are conservative estimates. Creating a hole in the budget was all part of the republican plan because it would eventually justify massive cuts to education and services. Texas, by law, requires a balanced budget so what better way to cut education than to create a massive debt then blame the "out of control spending" by the public education community? And that is exactly what happened. Someone had to pay for the tax cuts for the business community so Education was hit by over $5 Billion in just the first year. So now with a newly created $1.5 Trillion hole in the budget created by the trump tax plan, look for massive cuts to Social Security, Medicare, Education, Environment Protection. The arguments will be simple "Social Security is broke. You will never get any money out of it. Its a ponzie scheme." Ditto for Medicare. "Education spending is out of control. 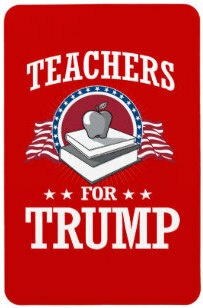 Teachers are over paid and have golden retirement. They are not even teaching kids anymore. The entire system is broken." Trump is good at telling lies and the American people are great at believing them. And they will eventually pay for it. No Place but Texa.....Washinton DC.